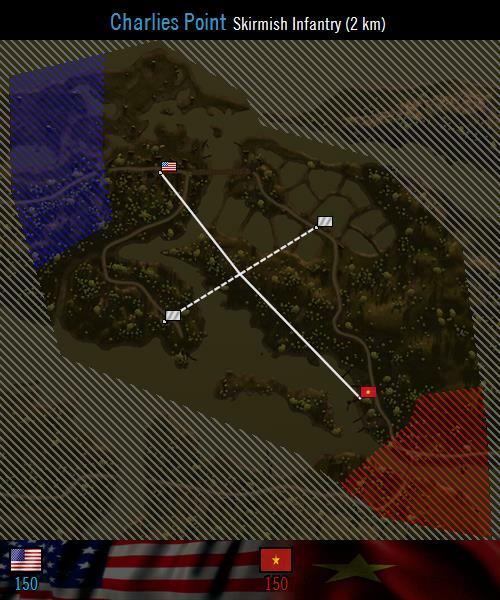 Both bunker flags are now in play at the same time while the last flag is picked randomly from either North/South Village or Outpost. Since most of the action happens around bunkers, the idea is to allow either side to attack either South or North Bunker at all times; the dominating side having to defend two flags while attacking the third to slow them down while cutting the game short once either one of the Village/Outpost flags is captured since so far the game was always over in practical terms when that happened and it also gives a chance to Outpost flags to be in play. The Alternative layer was also changed; the T72M was buffed to T72S and BMP2s now come with ATGMs. Both Bradley and BMP2 are now 10 minutes delayed, (transport helicopters, tanks, attack helicopters and anti-air are as they were) giving infantry a 10 minute window without any assets in order to set up. Better make good use of those 6 trucks. 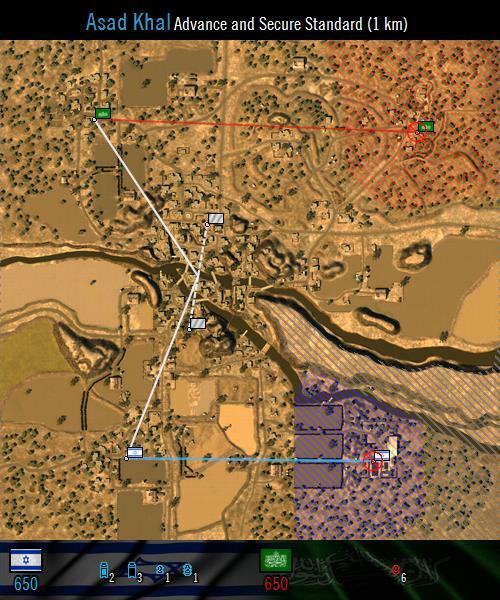 Major changes to this map include putting the northern landmass out of bounds save for the US main base, redone DoDs, giving US team an area attack, moving the ZPU4 in grid L9 behind some cover from where it cannot fire into US main, marking NVA base on map and changing undergrowth to draw further and be shorter in height. 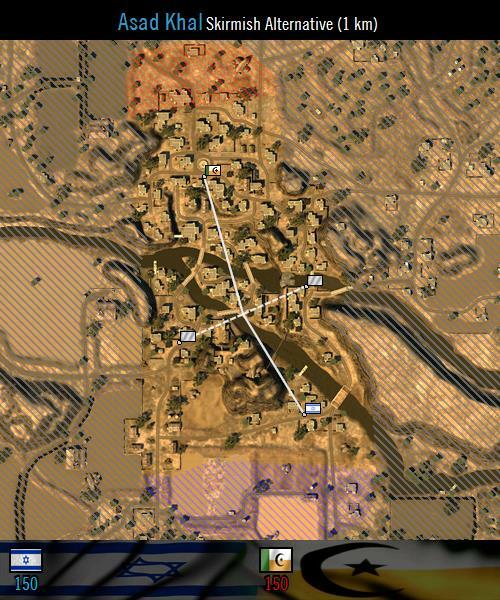 New flag routes for AAS, flags can now be recaptured by NVA, alternative layer with APCs (M113&ACAV vs BTR60) and a Skirmish layer. Playable area was opened up, especially in the west. Mapper placed ammo caches were removed and Hamas now has logistics technical for resupply/kit request. 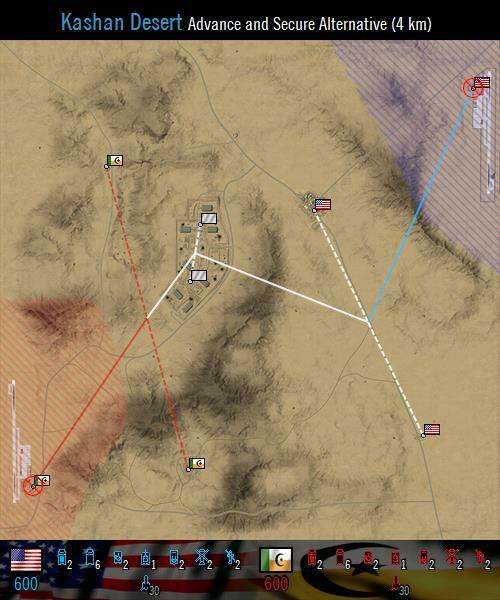 Both North and South Objective flags are in play at the same time for the same reason as Kashan bunkers above and the Breaking Point/Forward Base flags were removed because they just postponed the inevitable once the opposing team broke through and was in position to capture Village/Supply Route and those. 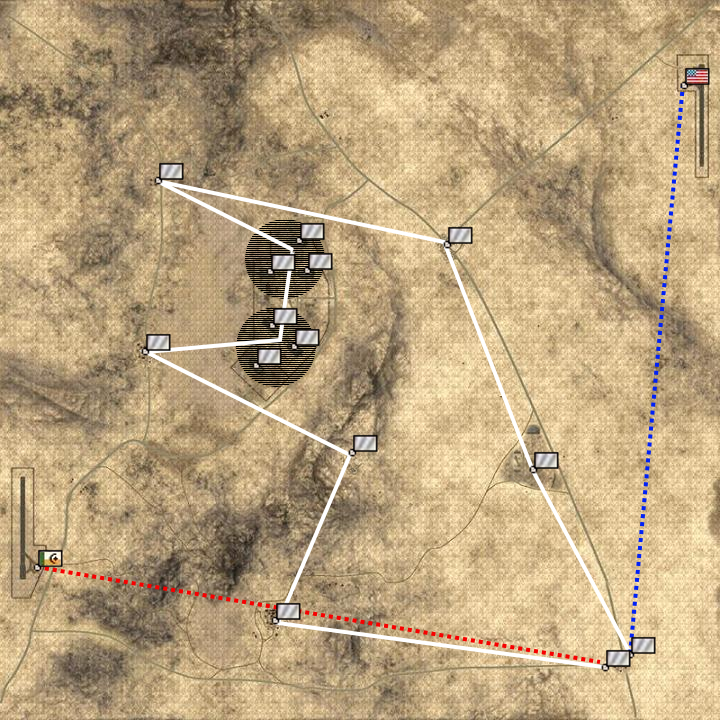 On Alt layer the MEC MTLB now respawns to even it out with IDF M113 and added Skirmish Alt with MEC vs IDF as well. 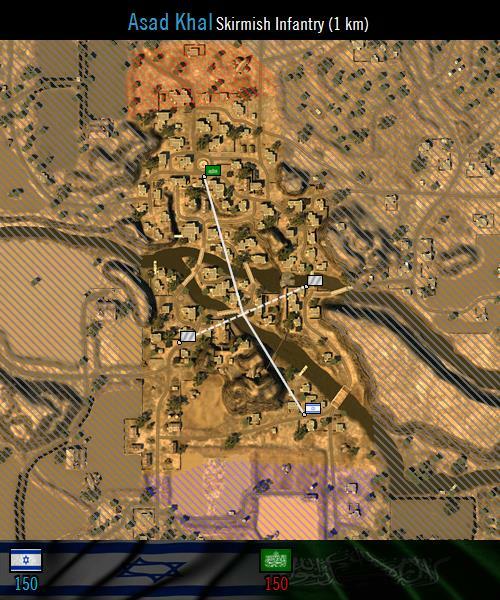 Skirmish now has DoD for spawn areas and slightly larger playable area. Still no light cas layout of Kashan? Gheyyyyyyyy. I love current Charlie's point tall undergrowth, it's why we call it Vietnam. Oh dear god, the BTR is back on Charlie's Point. 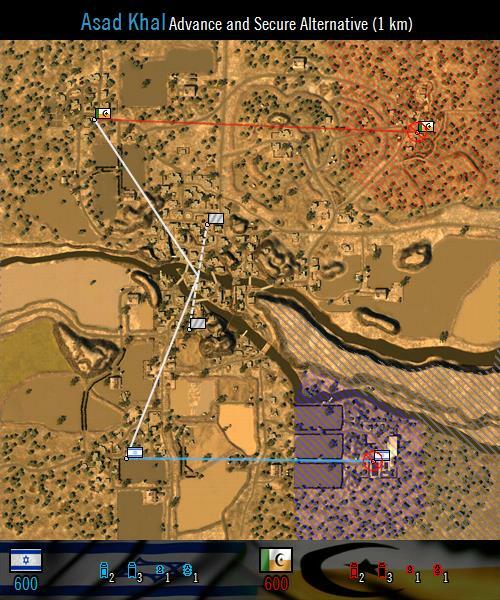 This was copy from Squad right? i cant already say that this does not work, the maim point of Squad and PR is the tactical aspect and have more than 2 flags to defend and attack will just spread everyone, of course would be easy to say that your team needs more team work but we all know that in public games that is already too hard to achieve with only 1 flag in attack and defense, don't bring that to PR. We've been having a bug since this patch, so far only seen on Fallujah West. After INS place their first FOB and build a DShK deployable, neither team is able to build any deployables. Used old version, had new version in mind. No disrespect intended. The two SE flags are semi-super-imposed so that whichever team establishes area control captures their flag while the other team's stays neutral. 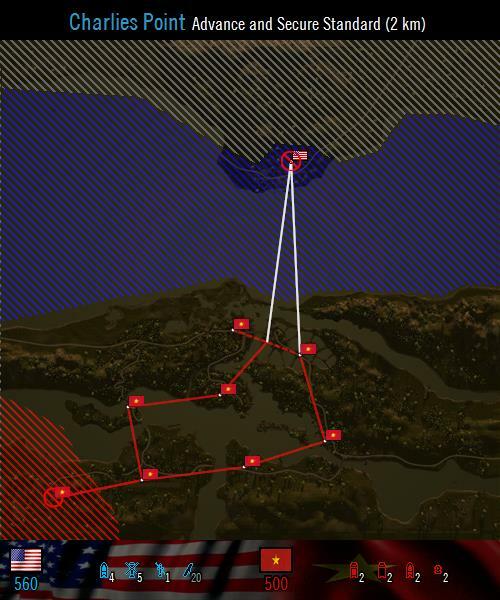 Not sure what would happen in the UI though when player checks his map to see the flag status. 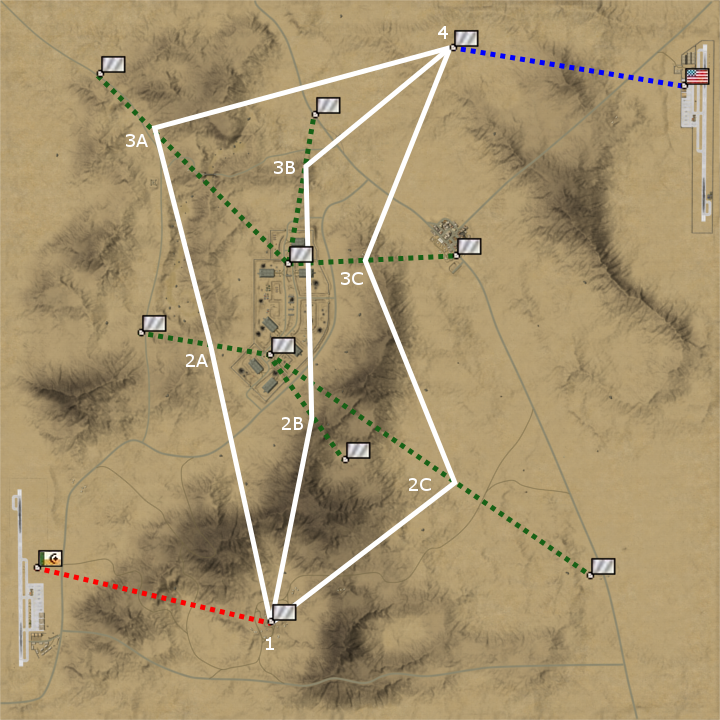 The first flags are single objectives, while the A,B & C routes always pair a side-objective with one of the bunker flags. Both bunker and its side-objective must be captured to advance.